I really need that top especially since it's striped and has a peplum bottom! Great pattern mixing! I do love a good striped top; bonus points if it's peplum! 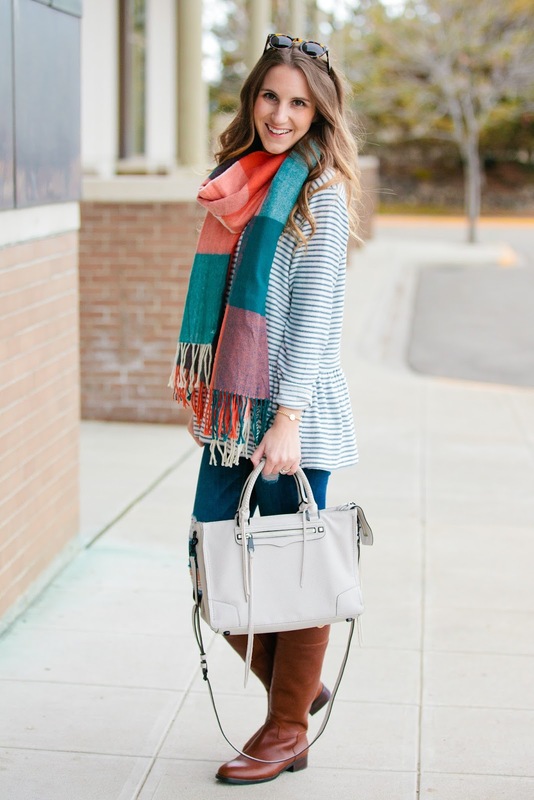 The colors in that scarf are gorgeous! Love the pattern mixing too. Such a fun way to mix patterns! 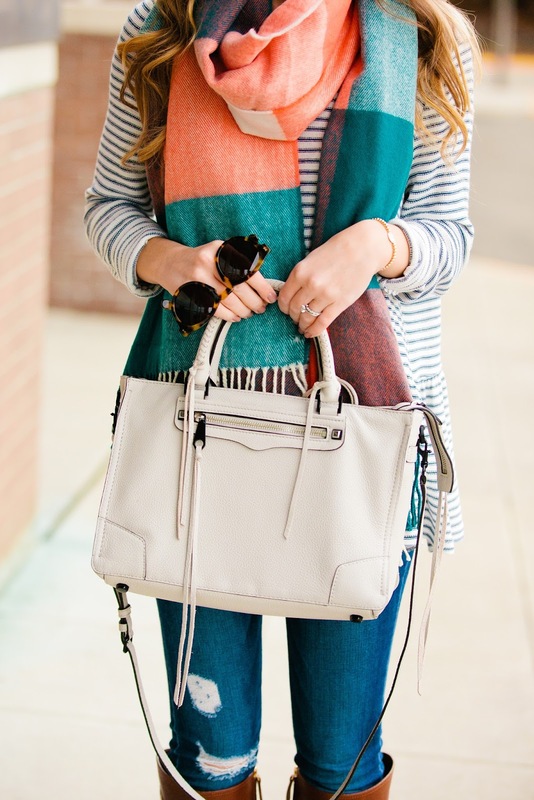 Love the colors of that scarf! 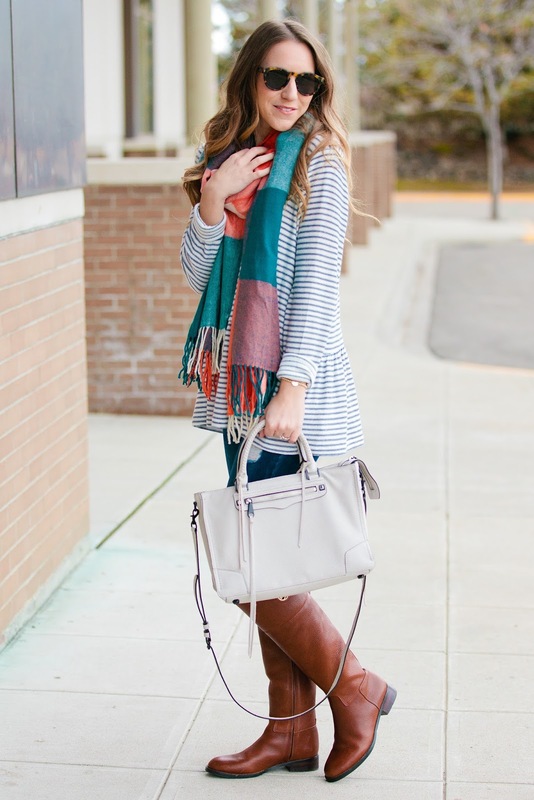 LOVE the huge stripes of the scarf! Makes it different than most I've seen! I love this entire look, especially your sunglasses!! 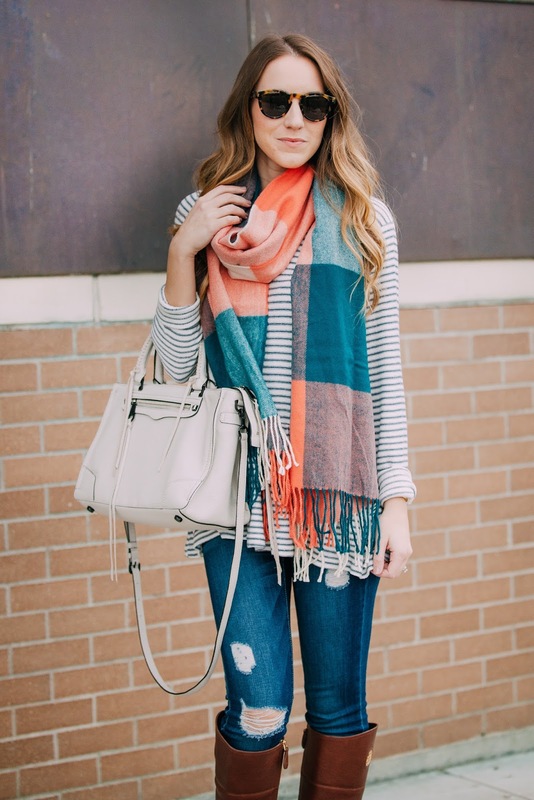 I love the bright colors on your scarf, perfect mix with smaller more subtle stripes on your shirt! Love your Rebecca Minkoff bag. I'm totally a fan! I have a few of the smaller styles but I'm looking for a good mid-sized structured bag and this might be perfect! I NEED those boots! Also, I am a Rebecca Minkoff fan – LOVE yours! I swear I've been wearing the same plaid dress basically everyday since I bought it, so I totally know that feeling! 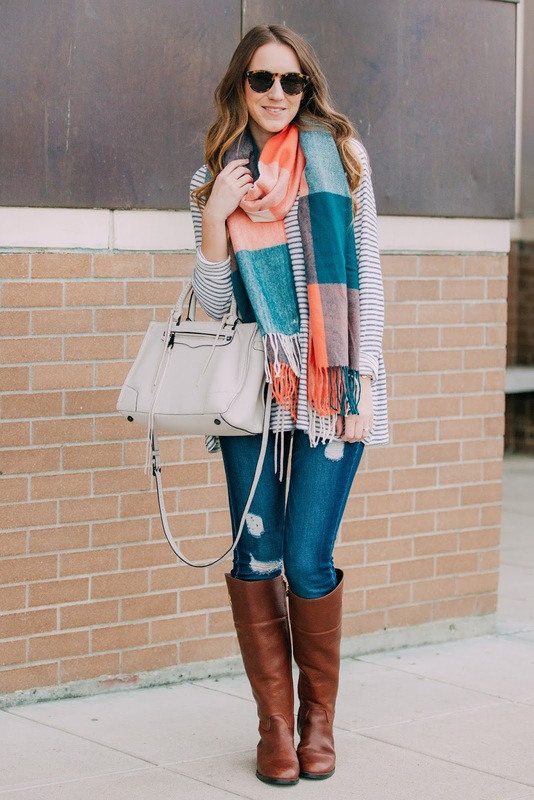 Love the pairing of the top and scarf together!! Oh I love that scarf!! Such a unique mix of colors and it looks so soft! I adore the colours in your scarf! So pretty! Ah I love this and I LOVE that bag. I feel like I really need it. Yep, I want everything in your closet!